In only his second year at the helm of the Tigers’ football program, Coach White and his coaching staff have most certainly made their presence felt. 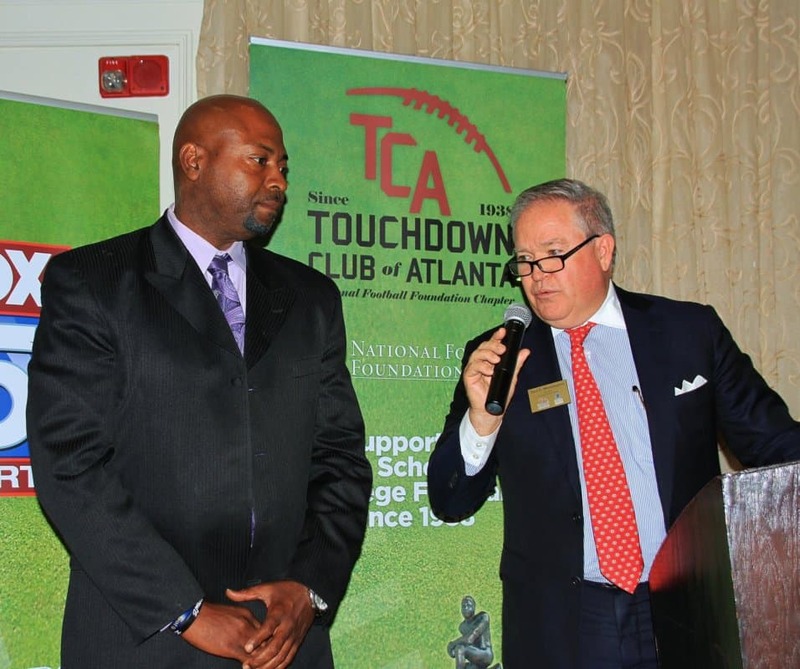 After defeating Hughes 30-27 to up the season record to 5-0, and earn White the recognition he received from the TD Club of Atlanta for the turnaround of fortunes at the Douglasville, GA, program, which had experienced eight winless seasons until he was hired to turn the ship around in 2016, and Douglas County produced a 6-4 record in his first season, there is a huge degree of promise an anticipation for the rest of this season. White, 46, is now in his 23rd year in the teaching/coaching profession and in his third stint as a head football coach.His last stop as a head man was at Creekside, where he was 19-12 from 2009-11, but was dismissed when a new administration felt a change was needed for the program. Before coming to Douglas County, White was a defensive assistant coach at Hughes for four seasons. “I always believed that Douglas County would be a great place to coach, because this area has always had a lot of great athletes,” White stated. The next thing that has made the difference in the change of fortunes on the gridiron has been keeping the athletes at the school. For example, before he came aboard, White noted that six Division 1 athletes started at other schools in the county that once had been at Douglas County. “In the past, they had lots of kids leaving. Our job was to keep them here, and we’ve done a real good job of doing that,” White said. And White makes no doubt about it, while winning and academics are vitally important to him, he feels his main job is “develop young men who are going to be great husbands, fathers and employees” in the future. While one and all among Tiger faithful are excited to see the program ranked as high as No. 5 by one statewide poll in Class AAAAAA, there is truly hope that this year’s team just might be the one that can capture a region championship, something that has not been done on the gridiron since the 2002 team, guided by Phil Williams, produced an 11-1 mark. The game on October 6th against Mays High School could well determine the Region 5-AAAAAA, even though there remain three games on the regular-season schedule thereafter.